Diving is a very safe sport however, diving accidents do happen. 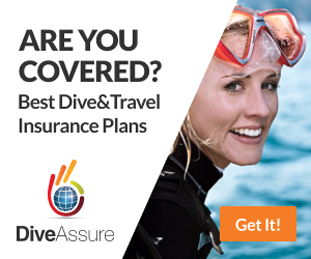 Our partners at DiveAssure offer specialized travel insurance for divers, for a single trip or a whole year. Founded with a goal of providing scuba divers with everything they might need in the area of diving insurance and medical assistance. Our partners at DiveAssure now offer scuba divers a variety of superb Insurance and Assistance programs, in various levels.